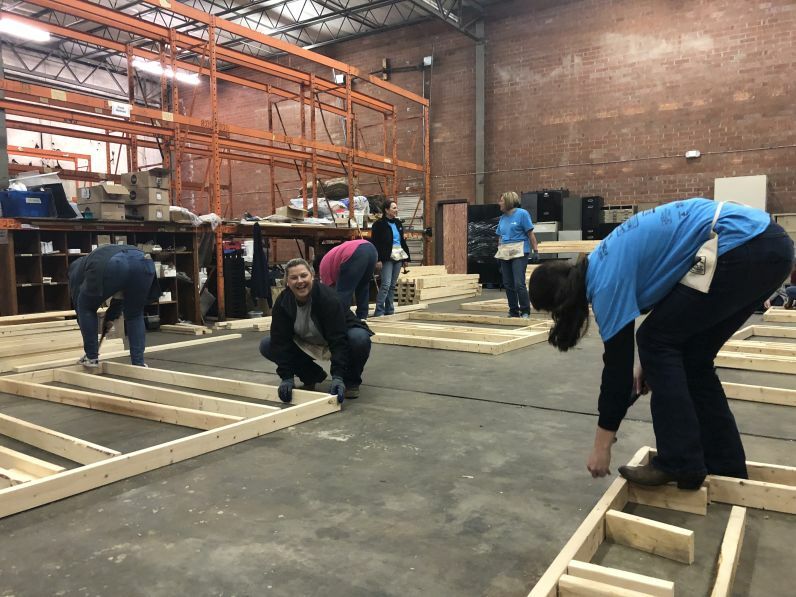 28 Feb Habitat for Humanity – Women Build 2019! 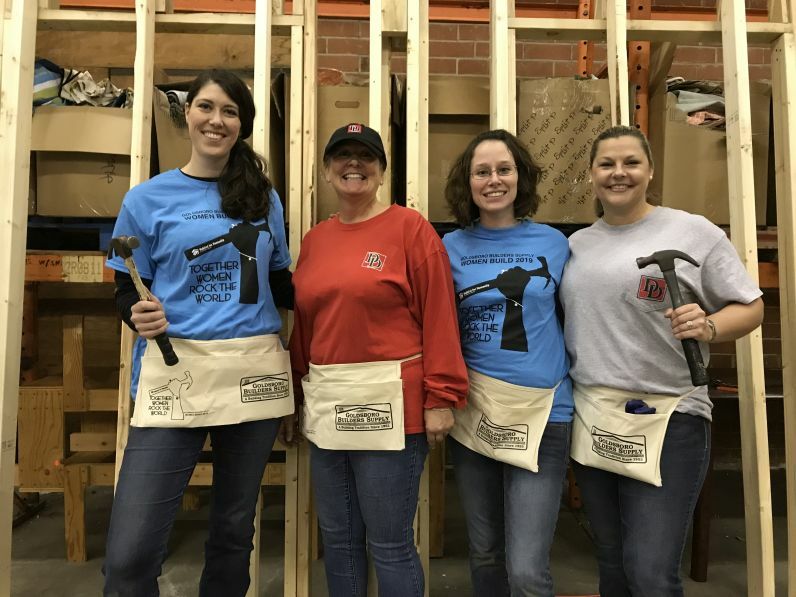 The women of D&D always enjoy getting out of the office and onto a job site each year for the Habitat for Humanity Women Build Event. This year, the rain had us in the Habitat warehouse this year framing interior walls for two Habitat homes in Wayne County. 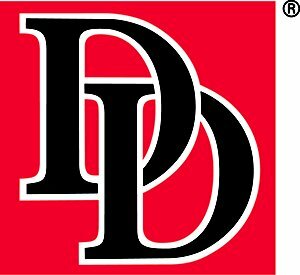 The D&D ladies did an excellent job getting several sections built in the short time frame.